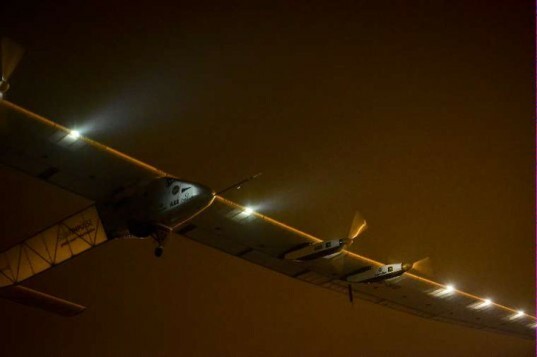 Solar Impulse 2, the solar-powered aircraft with room for only one person, lifted off from China at 2:39am local time May 31, beginning the five-day journey across the Pacific Ocean to Hawaii. This news comes three weeks after the original departure date, which was pushed back repeatedly as dangerous storms threatened the flightplan and the pilot’s safety. This is the seventh leg of the round-the-world journey for this experimental aircraft, which uses zero fossil fuels. The adventure began in Abu Dhabi on March 9, and is expected to culminate after twelve individual flights bring the Si2 back to its starting point, setting a number of world records along the way. After delaying the departure date several times, the crew removed the date from their website, posting only that they were awaiting favorable weather conditions in order to select a date for takeoff. 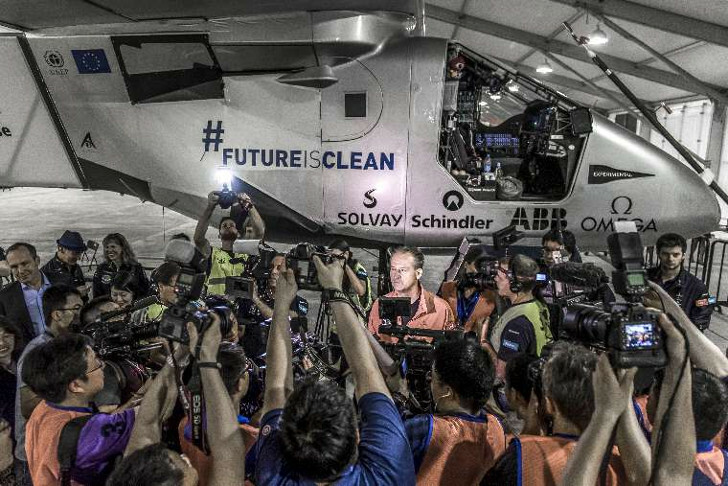 Early Saturday morning, the Solar Impulse team announced an anticipated departure of 2am local time on May 31. Later the same day, another press release indicated that the zero-energy plane took off at 2:39am local time, just 39 minutes after the targeted time. The full take-off was broadcast live and can be viewed here. The five-day, five-night flight, piloted by Solar Impulse CEO and co-founder André Borschberg, will end in Hawaii and, if successful, will mark a world record for the longest flight by a solar-powered aircraft as well as the first ocean crossing. Borschberg and co-founder Bertrand Piccard have been taking turns piloting each leg of the journey. After Hawaii’s stop, Piccard is expected to pilot the aircraft to Phoenix, Arizona to continue spreading their message about clean energy. Solar Impulse is scheduled to touch down in Hawaii on June 5. Bookmark the live broadcast of the landing here. Pilot André Borschberg prepares to board before take-off. 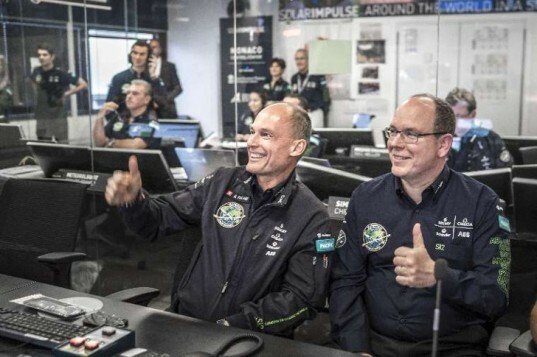 Co-founder Bertrand Piccard, left, gives a thumbs up. Si2 is on its way to Hawaii.